Sharon K. Schreiber is a healthcare marketing professional, a visionary who challenges the status quo to find new, effective, and innovative ways to help organizations succeed. Schreiber works closely with media, physicians, nonprofits, and businesses to develop and market meaningful and relevant health information. Whether she’s working with a small town community hospital, or an uptown Fortune 500 company, her goal is to get her clients’ message across in powerful, meaningful ways, to reach people where they live, work, and play. With 20 years of experience in marketing, new business development, planning, branding, fundraising, nonprofit management, and public relations, Schreiber has worked with community hospitals, major university hospitals, physician practice groups, imaging centers, surgery centers, healthcare developers, as well as major consumer brands, foundations, nonprofit organizations, government, and Fortune 500 corporations. Drawn to healthcare through traumatic personal experiences with her three children, Schreiber believes strongly in the value of communicating with people in ways that resonate best with them, specifically when it comes to optimizing healthy outcomes and preventive healthcare. With an undergraduate degree in journalism and public relations from The Ohio State University, Schreiber began her career opening a public relations firm in Naples, Florida. Over the years – working with major consumer brands such as Kroger, Wendy’s, and Bob Evans Farms – Schreiber’s undertakings have had a common mission: creating win-win solutions for consumers and businesses OR for communities large and small OR for people, businesses, and communities. Schreiber has designed marketing plans for the banking industry; developed the strategy to build a multi-specialty outpatient center for a major university hospital system; designed and implemented a plan to merge an Ohio surgery and imaging center into a general hospital; launched a Paul Newman Hole in the Wall Camp for Seriously Ill Children; provided health insurance to needy children through a foundation/insurance partnership; and created Be Unstoppable, a concussion awareness campaign to foster youth safety in sports. Schreiber’s passion for healthcare – especially health and wellness efforts – led her to found BrandWeavers® for Health, a strategic integrated marketing and communication consultancy. As a natural connector and relationship builder, Schreiber is deeply passionate about the win-win aspect of creating partnerships that will make a difference. 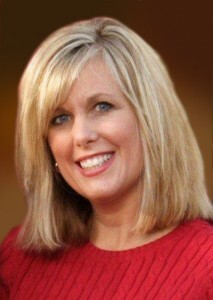 Through BrandWeavers® she brings together a rich variety of independent medical and marketing professionals. Today, Schreiber is the face of Healthy-TXT™. As the co-founder and managing partner, together with Dr. Mehta, she launched Healthy-TXT™ with a public service campaign about concussion awareness. Schreiber works with the Healthy-TXT™ medical and technology team to create engaging health programs for post, chronic, and preventive care. She then works with clients to leverage these campaigns across multiple communication platforms, building long-term relationships and brand loyalty. Schreiber is a member of the Public Relations Society of America Health Academy and the Society for Healthcare Strategy and Market Development.